I would like to personally thank you all for taking part by either donating or taking part in our charity event this year as you can see from the total raised below you should all feel pretty good knowing you have funded 3 days of research at the Portsmouth Brain Tumour Research Centre of Excellence and helping little superheroes like Harry below fight this terrible disease. In total £9146 was raised, £3146 more than last year! 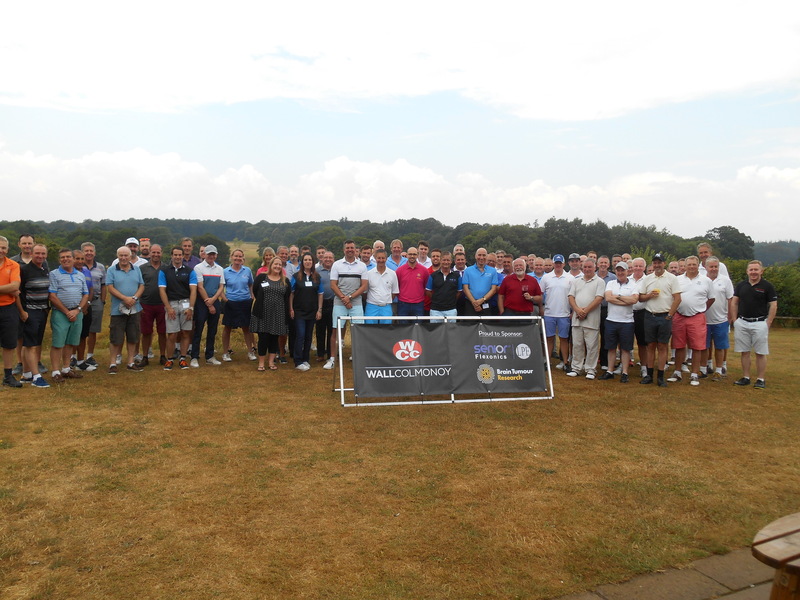 For those who came along on the day I’m sure you will join me in thanking Michael Mulligan and his team at Hamptworth golf club for providing an excellent course, great facilities and fantastic hospitality. I would also like to say a special thanks to all those who were not able to come along for various reasons, however I know you played a huge part in making the event a success. With your generosity by either entering the raffle draw, giving your time in helping with the organising, or donation of prizes for the raffle and auction, or even spreading the word, without your support the event wouldn’t have been anywhere near the success it was. A huge thank you to you all again.